At the Center you will study for about an hour. 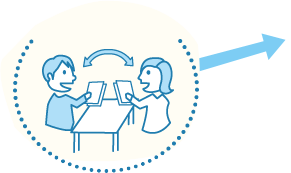 At Kumon, you don't attend a class in which "teachers teach you." 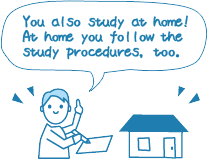 Instead, you will read the explanations on worksheets, practice oral readings, and solve questions on your own to master Japanese. 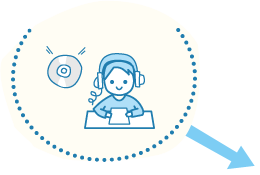 Students use the worksheets and the audio material of their proficiency level. How many hours do I study per week? 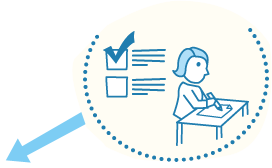 Kumon Centers are basically open two days a week, and the hours differ among the Centers. During the Center hours, you can go there and study at any time that is convenient for you. At the Center you will study for about one hour. After the study, you will receive your homework and study this at home until the next Center day. 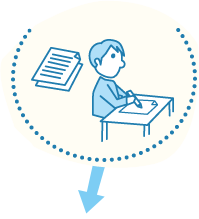 Kumon instructors help you to smoothly advance your study. They give individual support to each student through the students' study and oral reading practices at the Center, as well as through the worksheets they completed at home. 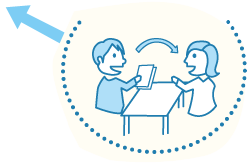 By grading the worksheets that students completed, the instructors assess the Japanese comprehension level of the students, give them hints to enhance their self-learning ability, and adjust the level of worksheets that they study to the "just-right" level. 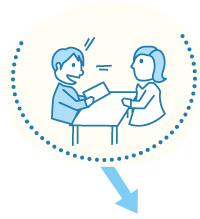 In addition, the instructors give students advice for proper Japanese pronunciation by checking their oral reading. An enrollment fee is not required. 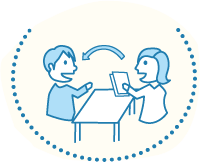 You can search for nearby Kumon Centers for the Japanese Language Program from address, postal code or station name.